City Hall is an outstanding example of the Georgian architecture for which Dublin is world-renowned. 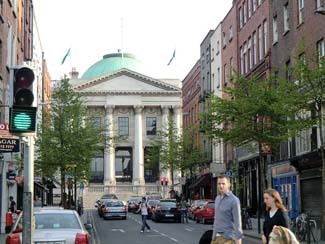 The vaults now host the multi-media exhibition, 'Dublin’s City Hall: The Story of the Capital'. This exhibition traces the evolution of Ireland’s capital city, from before the Anglo-Norman invasion of 1170 to the present day.